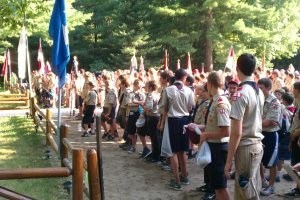 Weekend Programs: We offer a weekend camping program for units seeking a fantastic place to participate in weekend Scouting activities. All campsites and White Pines cabin are available throughout the year outside of the summer camping season to any interested units. Scouts can practice their shooting sports skills in camp, go hiking on our many miles of trails, and participate in other unit led scouting activities. 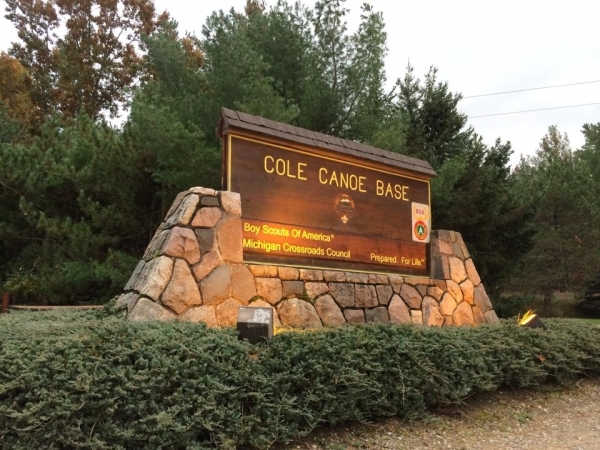 Your unit holding a weekend campout here at Cole Canoe Base will enable your scouts to have the opportunity to complete requirements towards advancing in rank or completing merit badges. 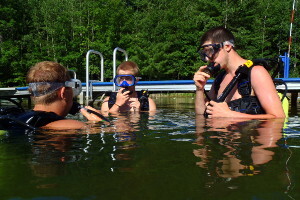 Our beautiful campsites are available for unit’s seeking a fun weekend campout for their unit. We have campsites of varying sizes to accommodate any size pack, troop, or crew. Some campsites even have their own pavillion which can be used for many purposes including holding a Court of Honor or any other type of meeting or ceremony. We have a beautiful cabin complete with bunk beds, full kitchen, and indoor restrooms and showers. White Pines Cabin is the perfect place to stay and warm up after enjoying those fun winter time activities. 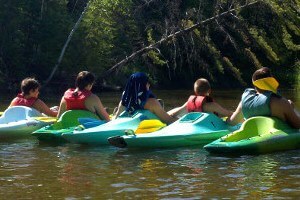 Canoeing on the Rifle River outside of summer enables Scouts to experience the rush of the rapids from Spring thaw and witness the beauty of the changing of the leaves in Autumn. Unit’s who sign-up to experience this one-of-a-kind experience must remember that any time of the year outside of summer camp, we will help haul the canoes to your requested drop off point but you must provide transportation for the participants. Only canoes are offered; no kayaks. With an advanced reservation, any of our three shooting sports ranges (archery, rifle, and shotgun) can be open for scouts to sharpen their shooting sports skills, complete merit badge requirements, and have a little shooting sports fun. For every person that dreads the wrath of winter, there is someone who embraces winter and all the beauty it holds. The those who appreciate winter, we have trails throughout camp that are perfect for going snowshoeing and cross-country skiing; we also have hills that are perfect for sledding skiing and snowboarding. Our camp trading post “The River Store” will be open on the weekend while your unit is in camp. We have a plethora of camping supplies, snacks, drinks, and camp souvenirs available for purchase.